As the year concludes, primenewsghana's Duah Michael ranks the top 10 African players who made an impact in 2018. African players have been the talk of the town for quite some time now. In recent years, there has been a real surge in talent coming out of that continent and succeeding at the top level. The Premier League, in particular, is already home to some of the finest African players at the moment and one can expect more to turn up on the big stages in the near future. Thus, a search for the top players from the Rainbow Land ends up majorly in the Premier League and naturally, Chelsea's Victor Moses, Tottenham's Victor Wanyama, Juventus's Benatia and Man City's Riyad Mahrez do not make into the top 10. So, let's have a look at the ones who make it to the list. This man should need no introduction by now. Egypt have produced several players of the highest quality over the years but Salah has reached unchartered territory by proving his ability at the highest level of European football. Throughout last season, Salah broke record after record, from most goals by an African player to most left-footed goals, the Egyptian became one of the world’s most feared attacking players by matching the likes of Lionel Messi and Cristiano Ronaldo in goalscoring. Along with breaking the Premier League goal record for a single season with 32, Salah was also the joint second top scorer in the UEFA Champions League as Liverpool got to the final for the first time in 11 years. His two goals and two assists at Anfield in the semi-final against his former club, Roma, was among the best individual performances in several years in the competition, and while he ended the tournament with an unfortunate injury he was still named in the team of the tournament. Salah’s injury also carried into the World Cup causing him to miss Egypt’s opening loss to Uruguay, although he can not be blamed for the premature exit having scored in both games that he played in. Inadvertently, the injury and World Cup heartbreak may have helped him in a way as he will still feel that he has something to prove this season, which can be seen with his continuation of goalscoring as he is now the second top scorer in the league only behind Aubameyang by one goal although Salah has led his team to the top of the table so far. While many African internationals had superb years, he has made Africa proud. In Mane’s first season at Anfield, he hit superb heights on the right wing, becoming Liverpool’s primary goal threat and arguably best player. After subsequent transfers meant that Mane’s role switched to become a left winger, there was a lot of doubt cast over whether he would still be as effective. However, the critics were silenced as Mane, with less goalscoring burden, was still able to be a difference maker and form part of one of the most attacking lines in the world. It was in the Champions League that Mane really stood out, scoring 10 goals overall but with 6 after the groups, he was the knockout stage top scorer even ahead of the overall golden boot winner Cristiano Ronaldo. While Liverpool went on to lose the final, Mane was arguably the best player on the pitch and had a goal to show for his effort which momentarily had the Reds back in the game. At the World Cup, Mane was the key attacking threat for Senegal where they were unlucky to exit behind Japan on a fair play differential, however, Mane was able to score a goal in the Lions of Teranga’s draw with Japan in the second game. In 2018-19, Mane has not completely hit the heights we know he is capable of, but he is still contributing well for a Liverpool side that will end 2018 at the top of the Premier League. During the three years that Koulibaly has now been at Napoli, he has established himself as a fan favourite and as one of the best centre-backs in Italy. After joining for a relatively low fee from Genk, the expectations were not immediately that high but he is almost irreplaceable now for the southern Italian side. Last season was the best of Koulibaly’s career, as he was arguably the best player in a Napoli side that pushed Juventus’ dominance to its threshold in a thoroughly entertaining title race. Although Napoli failed to win the title, it was Koulibaly’s winning goal at the Juventus Stadium that will forever make him a club legend for the Partenopei and if he can continue the way he’s going he could end up in the top bracket of their entire history among the likes of Diego Maradona and Marek Hamsik. Koulibaly was another part of the unfortunate Senegal team at the World Cup, but he has his eyes on winning some silverware for the Lions of Teranga next summer at the Africa Cup of Nations as combined with the aforementioned Salif Sane, they have the strongest centre back partnership on the continent. Unlike many other names on this list, Aubameyang has been unable to make a significant impact in continental competition. This is not entirely his doing though, as he was cup-tied in the Europa League upon joining Arsenal in January and has been mainly rested for the group stages of this season’s instalment. 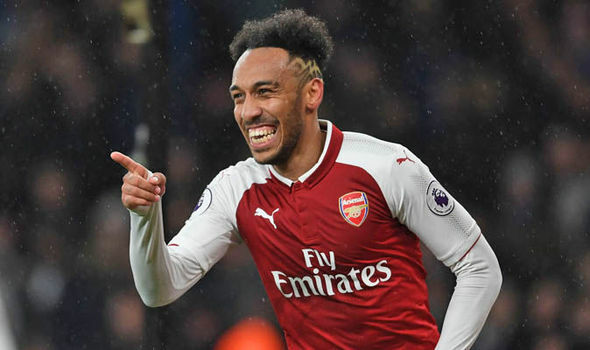 However, domestically Aubameyang has been a revelation for the North London side, scoring 25 goals in his first calendar year with the club and in just the 2018-19 season so far, the Gabon international is top scorer with 13 goals. In the Gunners’ first season under Unai Emery, the aim for the remainder of the season will be to make their way back into the Champions League but they face stern competition for a top 4 spot from city rivals Chelsea and Tottenham. In 2011, an18-year-old Thomas Partey pursued his dreams by moving from Ghana to Spain to play for the Atletico Madrid youth team. Several years later, he has become a key component of Diego Simeone’s project, normally playing as part of a double pivot in midfield alongside Rodri. However, the one thing that sets him apart from many of his contemporaries is his versatility which was on full display in the UEFA Europa League semi-final tie with Arsenal when Sime Vrsaljko was sent off and Partey had to fill in at right back. Atletico went on to win that tie and then the whole competition, giving the Ghanaian his first trophy in Europe before adding a second with the Super Cup win over city rivals Real Madrid. In 2019, Thomas and his teammates will focus on the Champions League, where they will take on Juventus in the round of 16, and La Liga where they are just three points away from the top spot which is currently occupied by Barcelona. Walid has truly rolled back the years in 2018. While he appeared to be on the decline a few years ago, at 34 years old Walid was able to play a pivotal role both domestically and on the continent as his 8 goals and 5 assists in Al Ahly’s Egyptian Premier League win was somewhat dwarfed by his 6 goals and 4 assists to get the Red Devils to the CAF Champions League final where they would eventually lose to Esperance. In particular, Walid scored what probably should have been the competition’s winning goals with two in the 3-1 first leg win before his side capitulated, however, Walid finishes the year with his head held high. After making his name in Italian football at Udinese and Roma, Benatia now finds himself plying his trade at Juventus. Despite the stiff competition at the centre back spot, Benatia took advantage of the hole Bonucci left in the squad when he moved to AC Milan last summer and solidified himself as a starter. The Moroccan made the most of the opportunity by being one of the best centre-backs in Serie A last season and even dubbed by many as the best. At the World Cup, Benatia also captained Morocco and with the Atlas Lions placed in an extremely tough group alongside Spain, Portugal and Iran, they held their own by coming very close to progressing and performing as arguably the best African side at the tournament. Benatia will hope to continue that form at international level as Herve Renard is looking to coach a team to an Africa Cup of Nations title for the third time next summer. om the country as he follows in the footsteps of some of Africa’s greatest ever such as Songo’o, N’Kono and Kameni. He can also look forward to a particularly meaningful Champions League round of 16 tie against Real Madrid, who are not only the reigning champions but are also the arch-rivals of his former club Barcelona. 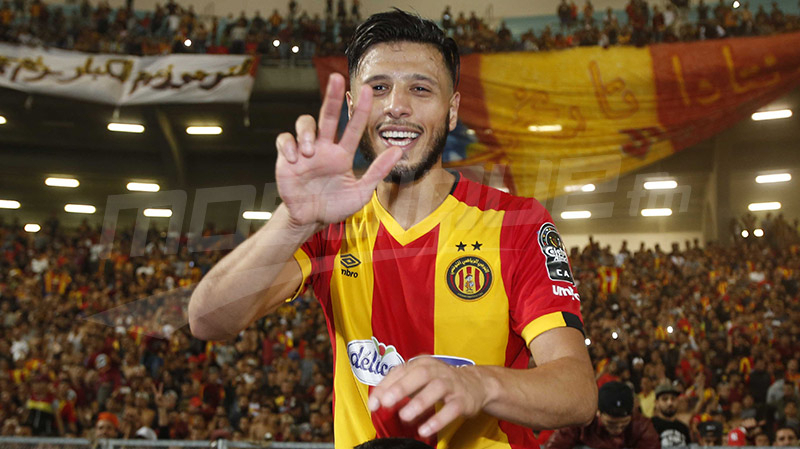 2018 saw Esperance de Tunis win the CAF Champions League for the third time in their history, and it was in no small part due to the contributions of their key forward Anice Badri. The 28-year-old finished the competition as top scorer with 8 goals, and many of these came at crucial moments such as the winner in the semi-final against Primeiro de Agosto as well as the nail in Al Ahly’s coffin in the final. Badri also played a key role in Taraji winning the Tunisian league title and made two appearances for Tunisia at the World Cup where he came off the bench in Tunisia’s comeback win over Panama. 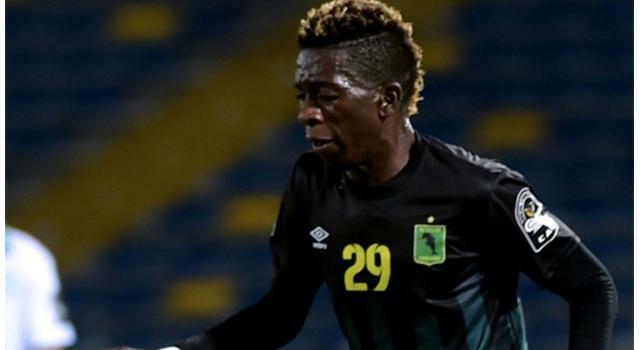 Makusu’s 2018 has been something of a surprise to Egyptian football fans after he failed to make any impact during his brief stint at Wadi Degla, but his form back in his native DR Congo has been impossible to deny. Since moving to Vita Club at the start of the year, Makusu has astonishingly scored over 40 goals in all competitions with the most prominent of those being in the CAF Confederation Cup where he scored 11 en route to making the final. In the knockout stages of that competition, Makusu provided the finishing touches against RS Berkane of Morocco and Egypt’s Al Masry and while his goal in the final against Raja Casablanca was not enough to secure the title, he has finally been able to break into the DR Congo national team and will look to continue his impact in the 2019 Africa Cup of Nations should the Leopards qualify.